The search for truly immaculate cold brew tea starts and ends here. After years of providing the highest quality cold brew coffee on tap to offices and cafes around the United States, our customers repeatedly asked us whether cold brew tea kegs would ever be made a reality. We take a sincere and deep quality-first approach to every beverage we brew, and our cold brew tea project is no different. After conducting a long and arduous product development process that utilized only the finest direct trade teas, we believe that our cold brew iced teas are simply the best available on the market today. All Joyride tea kegs are brewed by our master brewers in our state-of-the-art facilities using our proprietary brewing processes and expertly crafted recipes. Depending on the recipe, our teas are steeped in cold water for up to 20 hours, instead of being brewed hot over several minutes and cooled down after the extraction has taken place - the "standard" process for brewing iced tea. Our products are always a craft endeavor. 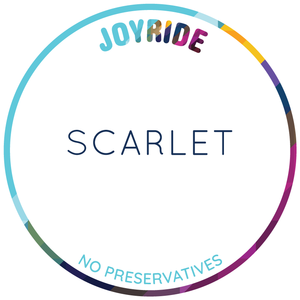 Joyride never uses pasteurization, HPP or any other industrialized processing methods. We have found that these Methods simply reduce the quality of our products - something we cannot allow. The result: a naturally sweet cold brew tea with no additives, preservatives, or sweeteners. All the flavor results from the tea leaves themselves, as the only ingredients are tea, water, and time. Our customers enjoy a full portfolio of 5 cold brew teas from Joyride - our cold brew green tea, cold brew nitro matcha, cold brew black tea, as well as our herbal option, the classic chamomile renewed as cold brew and the always refreshing hibiscus and lemon verbena flavored Scarlet cold brew. The Joyride cold brew green tea is made using organically-grown tea from the Japanese Yabukita cultivar, meticulously cared for on by a family-owned farm in Shizuoka, Japan. This quintessentially Japanese varietal lends our green tea notes of apple and citrus with a smooth, rounded finish. Joyride is the first to keg and nitro a matcha green tea offering an all new experience on draft. Our one-of-a-kind draft tea blend pours a brilliant emerald green and yields a velvety nitro mouthfeel full of savory umami flavors from the matcha, balanced out with the natural sweetness of green tea. Aside from being full of amino acids and antioxidants, Matcha contains L-theanine which levels the caffeine output so you get a calm alertness, no spikes and crashes. Joyride's cold brew black tea is a new take on your traditional iced tea. Using estate-grown Ceylon tea leaves from Sri Lanka, we achieve a balanced and brisk flavor profile with notes of citrus and a clean, honey-like natural sweetness. Our chamomile cold brew is a delightful herbal infusion of a beloved classic with calming notes of honey, apple and fig. The whole chamomile flowers, harvested in Croatia, have a strong sweet fragrance. A wonderfully soothing choice for those sensitive to caffeine. Our cold brew iced teas are available on tap for offices and cafes wherever Joyride operates, and our kegs are also available in select markets through our distribution partners. Try it on Nitro for an even more delectable tea experience that lends a creamy and foamy mouthfeel and enhances the underlying tasting notes. Want a Cold Brew Iced Tea keg in your office or cafe? Contact us here for more information!